FTSE S-REIT total return gained 1.5% MTD and 10.4% YTD. Strongest gains were from the Commercial sector (+12.3% YTD) and weakest showing at the Retail sector (+7.8% YTD). Sector yield spread dipped further below the -1 standard deviation (s.d.) level as at end-February to 261bps over the benchmark 10-year SGS (10YSGS) yield. 3m SOR continued to rise YTD, ending at 1.95% in February. S-REIT yield spread declined 49bps YTD in February. The S-REIT yield spread dipped further below the -1 standard deviation (SD) level as at end-February, at 261bps. The 10YRSGS yield rose 11bps m-o-m, to end at 2.26%. Hitting 1.95% in February, the 3-month SOR is close to double what it was a year ago. 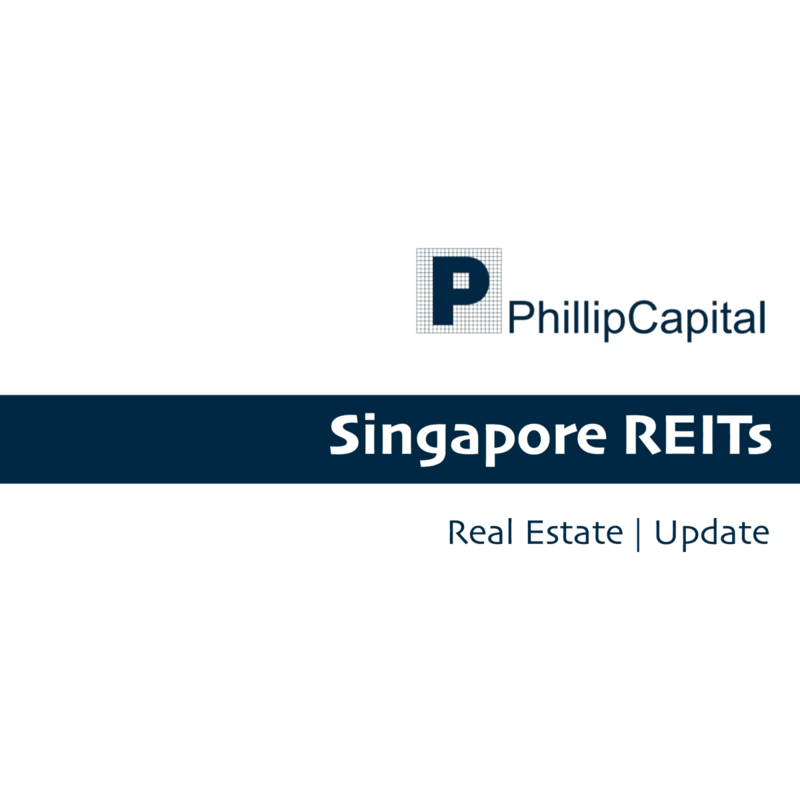 It was announced in the 2019 Singapore Budget that the sunset clause for tax exemption that was previously latched on S-REITs and REIT ETFs has been lifted. In addition, the existing tax concessions for S-REITs which were previously due to expire after March 31, 2020 has now been extended to Dec 31, 2025. The MAS will provide further details of the change by May 2019. Retail sales (excluding motor vehicle sales) rose 5.3% y-o-y in January, held up strongly by the fashion, medical goods & toiletries, department stores and supermarkets segments. This compares to the -6% y-o-y decrease in the same month a year ago. The outperformance is due to the earlier Lunar New Year this year. Jewel Changi Airport, the biggest retail addition this year, is slated to open on 17 April 2019 with an early public preview for registrants. CAPITALAND LIMITED (SGX:C31), which jointly owns Jewel with Changi Airport Group, is also the operator of this mall. YotelAir Singapore Changi Airport, a 130-cabin microhotel, will open ahead of the mall on April 12 with rooms for short daytime layovers and overnight stays. OXLEY HOLDINGS LIMITED (SGX:5UX) had received an unsolicited expression of interest for its Chevron House building, for S$1.025bn. The latest indicative valuation in Oxley’s Feb 13 corporate presentation is for S$787mn, with the company seeking approval from the URA to expand the net lettable area from the current 24.3k sqft to 34.8k sqft. CROMWELL EUROPEAN REIT (SGX:CNNU) had acquired a logistics property in France for 6.9mn euros and three office assets in Poland for 69.38mn euros, part of the Reit’s 384.4mn euros acquisition of 23 Europe properties in Oct 2018. In Singapore, Global Switch opened its second data centre in Singapore, with the centre spanning 25ksqm. Co-living has become the latest phenomenon in the hospitality scene. Similar to co-working, co-living is a shared housing concept offering flexible leases. Co-living spaces offer lower rates than serviced residences, with the operators instead aiming to build a community of residents with shared interests. Some of the major global co-living players are The Collective (UK), Common (United States) and You+ (China). In Singapore, there is Hmlet and Mamahome, with The Ascott Limited joining the fray with the development of its lyf-branded co-living apartments and ASCOTT RESIDENCE TRUST (SGX:A68U) developing a S$62.4mn greenfield site into lyf one-north (yield on cost: ~6%). While higher interest rates are typically negative for the sector, it does not imply a bear cycle, provided the REITs can grow their rents faster – our estimates: by -1% to 5.3% – than the rise of their interest expenses (which can also be managed via fixed debt or interest rate swaps) or manage their capital structure for acquisitions. We are cautious on the Retail sub-sector as retail sales and shopper footfall both leave much to be desired. A high proportion of debt on fixed interest rates.